In a recent discussion in our forum community her at transCODES the question was raised of how Addiction and Recovery tie in with Ego, Inner Child, Karma & Trauma? In this following personal reflection of this subject, I am going to share some of my personal background with you and explain how this connection became clear to me. In context with Recovery, Inner Child and Karma aspects are very important topics. 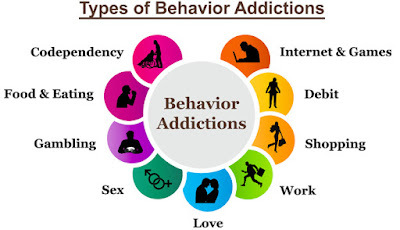 As you all know, we don’t just regard substance abuse or obvious addictive behaviors as subject to Recovery – from an energetic standpoint, shadow, ego, co-dependency and co-addiction resemble addictive behaviors just as much as a full blown drug addiction and therefore always need to be a part of self-healing. The reason why Ego, Inner Separation, Inner Child and Shadow cannot be left out of our journey of recovery, is because they are karmically tied to our energetic expression, as they can for example increase or decrease our propensity to addictive coping behaviors in all areas of our life! Neuroscience and Psychology have long accepted that some people have a higher chance in engaging in addictive behaviors than others regardless of their upbringing or exposure. However, the common understanding is still that substances or addictive activities need to be present to differentiate an addict from a ‘normal’ person. Through my own journey, my experience in energy work, counseling and 12-Step work, I have come to the realization that the deeper aspects of addictive coping is mainly based on an energetic block in our heart area and that its often also a spiritual problem. People with karmic propensity for addictive structure in their energy fields for example tend to be more prone to trauma, abuse, acting out shadow and lastly of course to addictive or self-destructive behaviors. At the same token, I have observed similar aspects in not so obvious addictive ego-personality traits, such as narcissism, competitiveness, mentalism, energetic projection, pain-cycles and victim-perpetrator-fixer programs. In short, Ego and False Self can be just as addictive as a substance! I am the daughter, granddaughter, sister, cousin, ex-wife and friend of alcoholics and behavior addicts. Addiction runs in my family for countless generations. This fact has come to my attention very early in life. I understand and accept, that I have been having addictive structure in my energetic field since birth. But what does this mean to me and my journey and how does this affect my karma? Or was my karma what brought these circumstances into manifestation? - Growing up in an unsafe and unpredictable world made me become a very efficient energy reader – for my physical, mental and emotional survival it was imperative that I was able to read the energies around me at all times. - Being able to see and feel energies before others could also developed a sense of pride in me and later the ability to manipulate others. This led to many of my shadow-traits and of course also made me become a very talented co-dependent. - In return this fueled the view of a hostile world; full of abuse, competition, and darkness. It allowed me to feel the desperation and apathy of the lowest energetic resonances and showed me how we can get stuck in our own hell-worlds. - All male relatives in both sides of my family were alcoholics, ran away from father-hood and abused their (co-dependent) wives. Through this my view of masculinity was not only judgmental but also very disdainful. - As a consequence of this inner spilt, I had severe difficulties accepting and expressing my own femininity – on all levels. - Polarized, traumatized, judgmental, full of shame and guilt, my ego’s coping mechanisms were endless – my False Self complete. Every moment of my life was a fight – either against darkness in myself or others. I learned to stand my ground but never how to make a stance. I had none –other than survival and covering up the shameful truth. - I had skewed boundaries, and no feeling for my own needs not to mention my True Self. - Spiritually, I felt alone, separated from the world, never fitting in, constantly in the search of perfection of my False Self and never connected to anyone or anything. God was non-existent, abandoned at best, and absolution or healing was out of reach! Understanding my karmic set-up meant that I have a strong propensity for addiction, not just in form of addictive behaviors but also in form of attracting other people, circumstances and events into my life that are somehow tied to addictive aspects. The meaning of this realization is obvious: Apparently, a big part of my journey needs to include the transcendence of addictive structure in my energy field, so that I can heal myself and my karma from all traumatic experiences caused by it. It further means that if I neglect or ignore it, the likelihood that I will inherit this propensity to my children is very high. For a long time my ego projected all these addictive aspects and related trauma in my life onto others (Mom, Dad, ex-husband, etc). Apart from nicotine and later caffeine, I never felt that I was an addict. Instead, I felt like a victim, abused, abandoned, worthless, sinful and never really good enough. In my view, all of my personal struggles were mostly caused by others – addicts or co-addicts. It took a bit of spiritual consciousness work, psycho-education and overcoming my ego to understand that there must have been a force in me that was attracting these circumstances into my life, undeniably and repetitively. This was the moment of change; the moment when I decided to own my karma and all my ego aspects related to it. I began to change my views and worked on my inner connection instead of constantly being focused on the outside and covering up my deepest fears. You probably already suspect it, a new world opened up inside of me. My inner connection strengthened and ‘mystical’ inner guidance led me to teachers, modalities, self-help groups, new hobbies, new purpose and new people in my life; but most of all, a new understanding of myself and self-loving acceptance. In retrospect, I identified my inner guidance as the result of congruence with my heart. It allowed me to discern my inner truth and reestablished inner signaling for what was healthy and self-loving, as opposed to degrading and enabling. It gave me the ability to see when I was controlled by ego and fears and helped me understand why this energy had so much power over me. From then on, I simply asked myself whether whatever I was doing, thinking or feeling was in congruence with my heart; and if it wasn’t, I asked what my ego gets out of it, so that I could feel out if it was violating my inner integrity. In compassion for my negative aptitudes I learned to surrender to my inner power and how to overwrite this destructive energy in me with the resonance of Grace emanating through my inner Divinity. Transcending karmic programming, my Inner Child and continually working on my Ego patterns didn’t remove my karmic addictive structure, but it removed the dominance it had over my life. It gave me hope! When addictive energies come up today, I can sense how they try to trigger my inherent patterns, but I don’t allow them to disrupt the inner connection with my heart. Within a few minutes/hours my inner guidance kicks in and I know what to do – surrender. Addictive structure creates a powerful low vibratory energy field of shame, guilt and judgment. If we are surrounded by this low vibratory field from childhood on, especially through our loved ones, it pretty much represents all we know! It feels familiar and normal and in a dysfunctional way - even safe. We experience people around us as judgmental, unpredictable, emotionally unavailable and most of the time we will feel like ‘it’s all our fault.’ This is the typical ‘energetic career’ of an addict, co-addict or co-dependent – always on the cusp, always feeling guilty or responsible, always covering up shame and never really able to trust anyone, not to mention in ourselves. The only way out of this energy field is to shift inner energy into a higher vibratory state, which cannot be accomplished through will-power alone. It needs to come from an inner place of absolution, redemption and Grace – our higher consciousness and then practiced through daily heart-based affirmation and contemplation. But the healing of these deeply ingrained programs is not a mental process! To feel our inner truth free of conditioned judgment, shame and guilt, we need to build bridge to our heart and the hearts of others first. This is where our true inner power resides – not in our circumstances, our justifications or ego-fears of survival! 2. I am a victim -> I didn’t see my part in all trauma and pain I experienced. 3. I am bad -> I misused some of my talents for my shadow, so I had to find a way to use them in a healthy and constructive manner. 4. I am sick -> I couldn’t love myself. 5. I am crazy -> I surrounded myself with crazy energies and people, because they made me feel more sane. 6. I am not normal -> I now know that normality is relative and that it depends on a person’s perception of self. What I thought to be normal growing up has revealed itself as pretty dysfunctional. 7. I am ugly -> I couldn’t accept my body and inner beauty, for I didn’t know who I was. 9. I am unhealable -> I was feeling too special to listen to others. 10. I am not deserving -> I didn’t understand the power of surrender. The reason why I’m sharing this here in such detail is to show that we can all change our propensities for trauma and pain. We can all change our addictive structure by simply shifting our energy into self-responsibility. In moments of full acceptance of Karma, Ego, Shadow, Inner Child, etc. it finally all becomes crystal clear why we had to go through certain experiences: The key to ending our addictive karma cycle is not through the conclusion that we are lost victims of our karma, but through executing our inner higher power to transmute it at any time in our life, provided that we are willing to let go of ego-control! Understanding that the events in my personal life had to be the way there were (most likely even prompted by my Higher Self to increase chances of healing) not only made me realize why heart-based recovery plays such an important role in my personal healing journey, but also why and how this applies to so many others. Today, it helps me to aid other in re-contextualizing their addictions and karmic patterns, and has a become a major part of my energy healing and coaching work. For most people with a karmic set-up for addiction the journey ends with an endless repetition of manifestations linked to addictive structure. If there is no deeper understanding and healing of karmic aspects and their associated trauma events through inner connection, recovery can become a lifelong struggle. If I didn’t have this karmic set-up, I would probably not have become an energy worker, probably didn’t have any children and most likely be either dead or involved in very self-destructive behaviors. How can I say this today? I can admit to this truth, because for the past 30 years I have been doing shadow-work, connecting and integrating work; I have been actively working on healing my karmic wounds and I am willing to look at them with non-judgment and compassion. And as a result, I have become able to full-heartedly say that I am glad to have experienced the darkness of ego and addictive structure, because without it I probably wouldn’t have experienced my True Self and higher power within – at least not in the way I did, which I am grateful for. As a consequence of my personal experiences and all I learned about the human nature, its energies and dynamics, I dedicated my work and my life to assisting and teaching others to self-heal. Each and every energy work modality offered through transCODES is lived and breathed through the personal experiences of myself and all transCOACHES, who chose to join me on this path. As a center piece of my daily work as Personal Energy Coach I created a 24 STEP SACRED SELF-HEALING Advanced Energy Work Self-Study Course teaching how transcending our Ego is nothing but Recovery Work. In specifically designed energy sessions, such as GRACE Recovery we aid others to heal the deeper aspects of addiction through energy. Perhaps, it was all karma to begin with... I just couldn't see it back then! To read more about the different aspects, such as Inner Child, Karma, Trauma, Shadow, or Ego click on Keyword Categories on my blog site.